TALLAHASSEE, Fla. – More than anyone who has ever played football at Florida State, Justin Motlow is a Seminole. Motlow’s grandmother, Louise, is 100-percent Seminole, lives on the Seminole reservation in Immokalee and still prefers speaking the Miccosukee language to English. And his father Clarence grew up on that same reservation before moving to Tampa, where he and his wife Lisa raised their two children, Jessica and Justin. 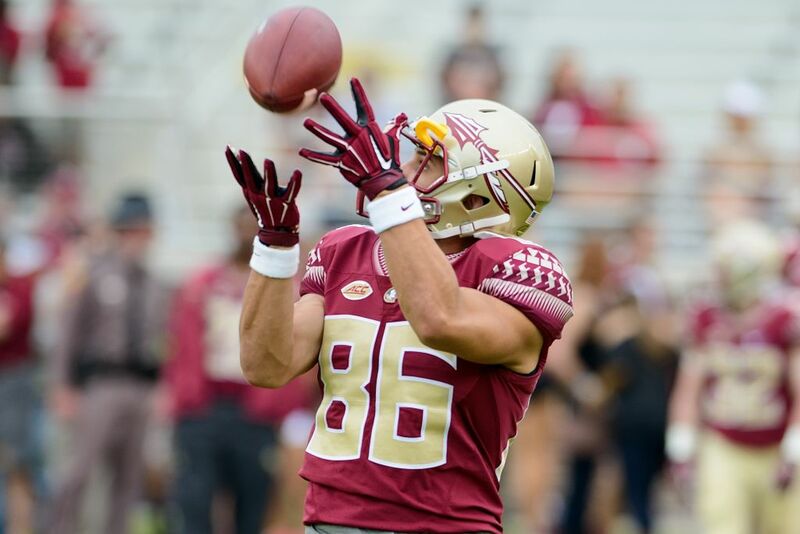 A redshirt junior receiver, Motlow is the first member of the Seminole Tribe of Florida to play for the FSU football team. Although Motlow wasn’t raised on the reservation, he spent plenty of time around tribal members at holiday functions and community gatherings. And he still makes sure to visit his grandmother as often as possible. Clarence Motlow said his mother is somewhere between 90 and 95 years old. That time Motlow spent with friends and family in the Seminole tribe left a lasting impact. While Motlow has a different background than his teammates at Florida State, he’s found common ground through football. A Florida State fan who played multiple sports at Tampa Catholic High, the 5-11, 183-pound Motlow competed for a state championship in the 400-meter dash as a freshman and, thanks to a strong junior year with the Crusaders’ football team, drew interest from college recruiters around the country. That changed, however, when he separated his shoulder before his senior year. Which isn’t to say that Motlow didn’t bounce back from his injury. In fact, he might have been even better. As a senior, Motlow caught 68 passes for 1,151 yards and 10 touchdowns on his way to All-Hillsborough Country honors from the Tampa Tribune. But it wasn’t enough to get back on the recruiting radar. After seeing his film, Florida State receivers coach Lawrence Dawsey felt that way, too. Motlow and Dawsey share ties to Tampa – Dawsey played with the NFL’s Buccaneers from 1991-95 and began his coaching career at Tampa Catholic in 1998 – and Clarence Motlow and Dawsey share a mutual friend in Barry Smith, a former FSU receiver and member of the school’s athletics hall of fame. So when Smith told Dawsey that his former stomping grounds had a receiver looking for a place to land, he gave Motlow a look. Dawsey didn’t have a scholarship to offer – NCAA rules cap total football scholarships at 85 – but he still felt that Motlow would be a good fit in Tallahassee. For Motlow, that meant spending the fall of 2014 grinding with the offensive scout team, a job that requires equal parts toughness and selflessness. Scout-team players gets all the aches and pains that come with football, while the average fan never even knows their names. Which was just fine with Motlow. 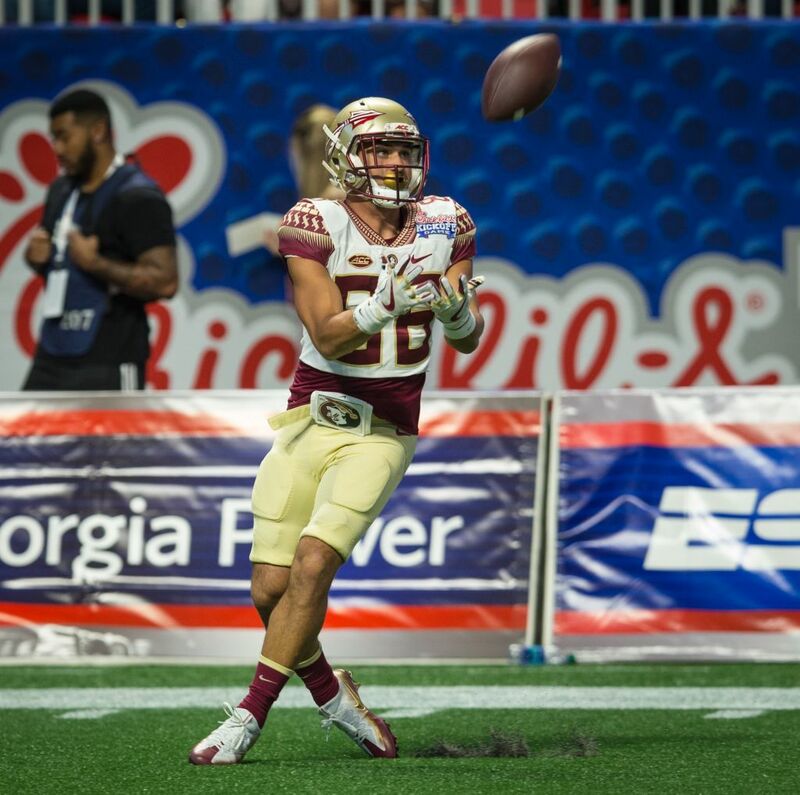 As Motlow embarked on his career with the Seminoles, first on the scout team and then as a contributor on special teams, his story spread across the Seminole Tribe of Florida. Clarence Motlow said that modern tribe members are scattered throughout the state and that, as funny as the thought may be, there are plenty of Seminoles who support rivals Florida and Miami, as well as Florida State. But no matter where individual allegiances lie, the tribe has taken pride in having one of its own on the sidelines at Florida State. It’s a story that’s not quite finished. While Motlow is fulfilling a childhood dream just by suiting up for practice every day, he still has one more box he wants to check off before graduating next spring. He’d like to play in a game. And he’d like to record a catch. It’s the type of Hollywood ending that never comes to fruition for most walk-ons. But there’s reason to think that Motlow’s time could be coming. He was recently promoted from the scout team to the regular offense, and he raised eyebrows last week when he was listed second on the projected receiver depth chart behind Nyqwan Murray. While Murray, Auden Tate and Keith Gavin will share the majority of snaps with the first-team offense, Motlow could be among the first off the bench if the Seminoles expand their receiver rotation this season.